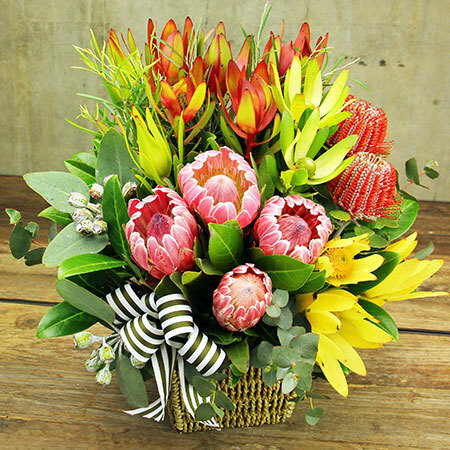 Get FREE DELIVERY this Monday 9th or Tuesday 10th October on our fresh Australiana-inspired native flower basket! Don`t want to send flowers on these days? You can order this flower basket for another day by clicking here (please note free delivery will not apply).